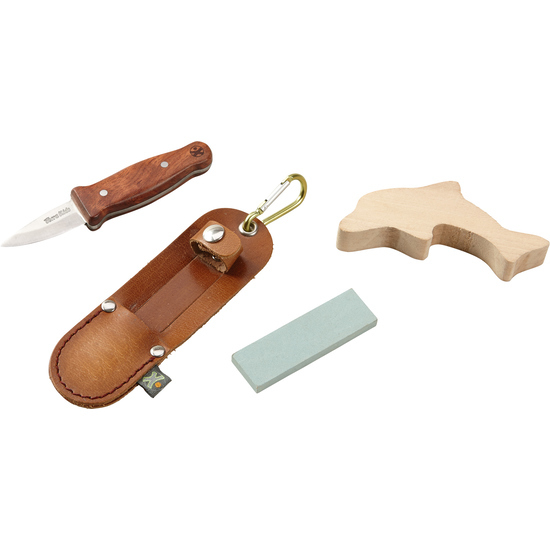 This set of knives contains everything junior craftsmen will need for fantastic wood crafting. Contents: 1 Terra Kids carving knife, 1 dolphin shaped blank of lime wood, 1 sharpening stone, 1 leather sheath with aluminum snap link. Includes instructions.